Hello, friends today I am going to share almost all versions of SpreadTrum upgrade tool latest version. All SPD flash tool without box for your windows in ZIP format is just availing from here on. SPD upgrade tool (Spreadtrum flash tool) latest version be download from the end of this post. However, all the old versions are also included to making a list of previous and present versions. Actually, the flashing is the process where you can upgrade your device software from old to new. This will reinstall the phone or tablet's firmware to the newer version. This all data will be posted by an external program. These programs are especially relevant to this one we offer. So feel free to get all SPD flash tool without box. Due to this software, will enable you to work directly with your computer machine. Just make the connection between PC and a cell phone. 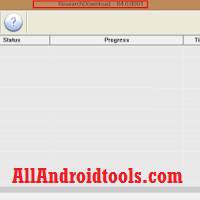 Now simply install the tool from the all Android flashing tools links at the end. Install anyone you want. I recommend the latest version to download and install. Because it contains all new features of SpreadTrum upgrade tool. You can flash the PAC and P5C firmware. PAC is same for all Android OS smartphone and other devices. The p5c extension can almost support on few services. You can add multiple languages and configure the LCD functions with the help of NV or PIN files. The SpreadTrum latest version can support for several Windows operating systems. Furthermore, there are so many aspects that can vary with different devices. No matters what the kind of device you used to launch the Spt flash tool. Mostly version can work perfectly on Windows XP, 7, 8, 8.1, 10 or many another old version. Remember that every file has compressed and the downloadable files have small sizes. So that takes a little place on your hard drive. In the meantime, you have an opportunity to save huge space. Download Links to all SPD flash tool without box. Dear.. Kwonchai Jomkaew now the issue is fixed and this will work without any pass. So download it and try again.